These aerials have been re-engineered to have real springs at the base to replace the previous turned brass items. They have also been redesigned for more accuracy. 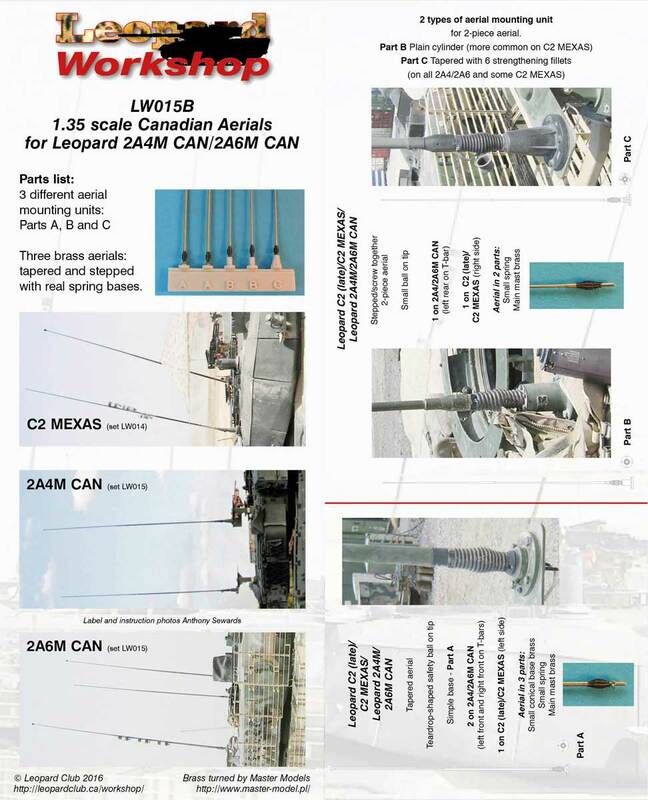 This set of aerials accurately depicts the antenna masts used on Canadian Leopard 2A4 and 2A6. The Leo 2s each carried three in Afghanistan, and just two back home in Canada. Three different turned brass aerials are provided (one of them in two parts) plus alternative antenna mounting units in resin. The aerials both have their springs turned from brass, and there is even a safety ball turned on the end of two of these aerials, as on the real thing. 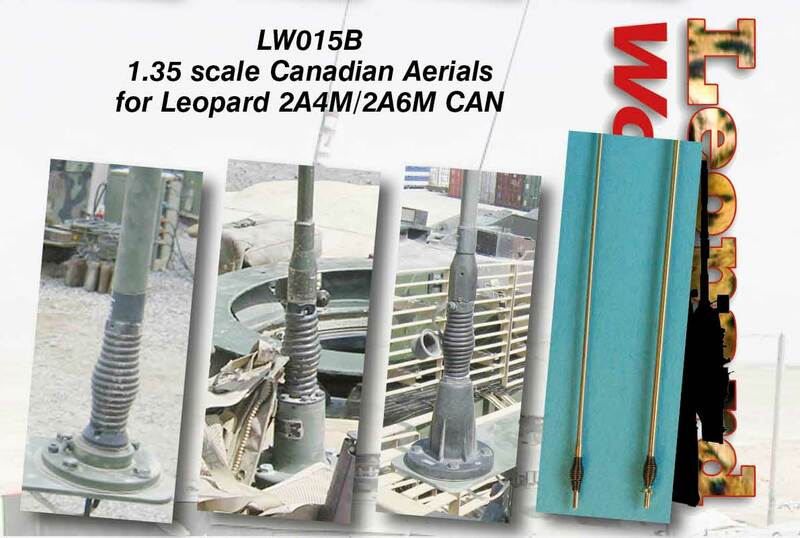 These replace the original LW014 aerials that were previously available, and the previous BMK aerials, neither of which are in production. For the same price as these items, you get even more! Label and instruction photos by Anthony Sewards.